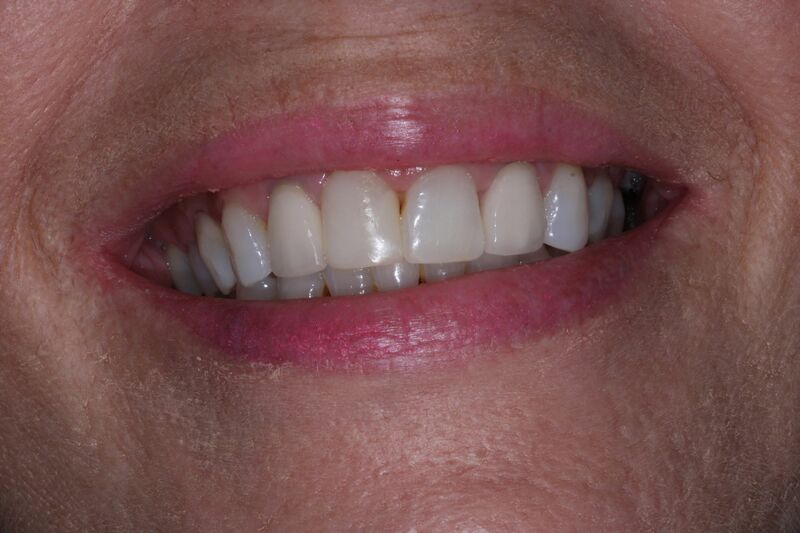 At her 6 month review today, this lady reported lots of compliments about her teeth since her ‘smile makeover’. We changed some old opaque (metal-lined) crowns for metal-free aesthetic crowns. We’ve done some tooth whitening, together with cosmetic bonding to improve the appearance of the upper central incisors. ? 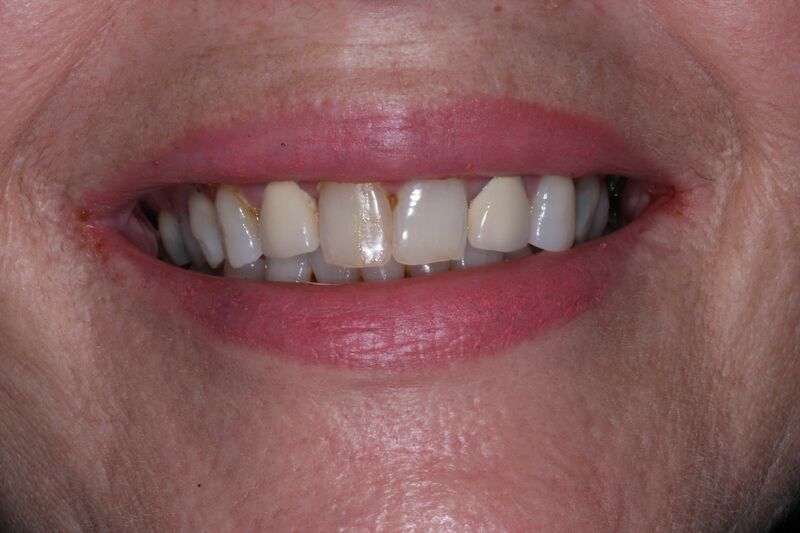 PreviousPrevious post:Before and after – tooth whitening and composite bondingNextNext post:Did you know we do dental implants? Did you know we do dental implants?